New opportunities to be creative is what Wayfarer loves to be part of. Tomorrow a new movie will be released called COOL IT. COOL IT is a documentary film that challenges us to look beyond global climate change and embrace the principles of protecting and sustaining all of God’s creation … to focus on saving the planet and its people. 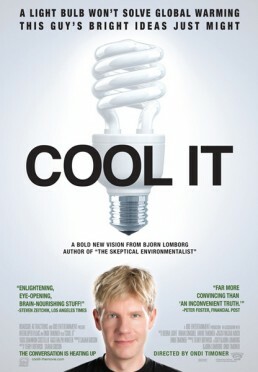 COOL IT may well be the most non-sensational, critical look at protecting God’s creation that is currently available in the mainstream. COOL IT is not a ‘Christian’ film, but does support a biblical approach to serving the poor while being good stewards of our planet. 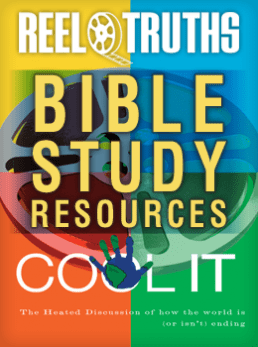 In this edition of Reel Truths, we’re focusing on the movie Cool It. This movie, based on a book by Bjorn Lomborg, challenges the assumptions of the Academy Award-winning movie An Inconvenient Truth about the best ways to combat global warming. Instead of debating the realities of global warming, Cool It debates how much of a priority this issue should be and whether the common solutions are imaginative and innovative enough to address the problem. No matter where you fall on the arguments of Cool It, we are confident you will discover many ideas and themes in this movie that will challenge us to follow our passions for God, His creation, and the redemptive work of Christ more deeply. We encourage you as the leader to watch the entire movie before you lead this four-session guide. This will allow you to see many of the themes of the movie and see how they fit together. This perspective will help you and your group keep discussion focused during each session. You may also choose to have your group watch the entire movie together before you begin this discussion. In your discussion, feel free to challenge the ideas you see in the movie. This discussion can be fruitful as we seek to use the ideas in the movie as a way to start thinking about our practice of following Christ. Previews — This section introduces the main idea you’ll be talking about in a session and establishes a Biblical background for it. You’ll use Scripture, discussion, and movie clips in this section. Feature Presentation — This section is where you and your group will dig into discussion. The feature presentation will have a few Takes, and each Take will focus on one idea from the movie. Based on time, you may want to focus on one or two Takes that you believe are most important for your group to discuss. The Sequel — At the end of each session, you and your group will be called to action. The Sequel is your personal follow-up what you’ve seen, heard, and said during the session. This may be an individual response or a group project, or it may take another form. Make sure to leave enough time to create and talk about this challenge together, because this action step is an essential part of each lesson. Read a review of Cool It!